At last year’s Rethink Music conference, I peppered Spotify CEO Daniel Ek with questions about their failure to be transparent about artist payments. I saw the makings of what would be a PR nightmare for the company in 2013, just as the now-infamous artist payment infographic started making the rounds. Spotify must be finally listening to public opinion, because it has started an all-out assault on all the negative press it’s been getting. Mainstream artists like Beck and Thom Yorke have been complaining in public about how the streaming music model simply doesn’t work. Documentaries are being made about the so-called “demise of music” (utter rubbish), mostly filled with more complaining artists that provide no solutions, only ire. Spotify is often the voodoo doll in all this streaming music hate, though a special place in hell is reserved for Google and their indexing of file-sharing websites. The new Spotify for artists website is ground zero for musicians to learn about how Spotify really works (at least, how its PR staff would like us to think it works). I recommend checking it out though, because so much disinformation has been spread about streaming music royalties. Still, we’re missing the big picture here — not surprising since we’re talking about the music industry. One of the cardinal rules of the people who make the majority of money in music (hint: it’s not the artists) is to obfuscate all the financials. That’s why Spotify’s move toward greater transparency is pretty amazing. I’m led to believe it’s just beginning, with the company planning on offering automatic audits of royalty payments so artists can see exactly what they’re earning. 1. An artist’s music and career shows promise, either by gaining popularity, having the right industry connections, or just being an act that’s profitable to “sell” to the public. 2. Artist signs the rights to their music over to record labels and/or music publishers so they can be exploited. They hire multiple team members to handle various aspects of their business, each taking a cut. 3. The majority of artists never see a dime because they never recoup the cost of producing and marketing their album, which is required before receiving royalty payments from their label. Even then, their payments are a small percentage of total revenue. Publishers take 50% of all licensing revenue. Managers take 10-25% of most revenue. Booking agents take a similar percentage of ticket sales. Other royalties are collected by PROs like ASCAP and BMI, who keep a secret percentage of all revenue to pay their employees, fly them to conferences on exotic islands, and otherwise run the business of collecting and distributing artist revenue. 4. If the artist is in the right place at the right time with the right people, they may be lucky enough to sustain a career, even after all the percentages and cuts are taken out of their revenue stream. At this point, the rights to their music are worth exponentially more than they were when they were signed. Unfortunately, the way the record labels operate — and the way they have lobbied to structure copyright law — means that artist rarely gets to cash in on the true value of their music. 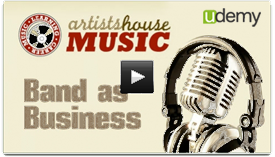 The labels, lawyers and businesspeople are the true profiteers of the music industry. Worse, the musicians and their music are treated as mere product to be sold and consumed. This is the true devaluing of music — exploiting artists at a low point in their career while simultaneously reducing music to another consumer packaged good. The music industry, on the whole, is still unquestionably corrupt. As we all know, transparency is toxic to corruption. Shining a light on secret practices benefits us all. Record labels are well-known for stiffing artists on millions in royalties through backroom accounting, legal loopholes and business-savvy manipulation. Even the PROs — vigilant protectors of artist’s rights to profit from the exploitation of their work — have a totally secret formula (some say no formula at all) for paying artists. We really have no idea what percentage ASCAP or BMI is keeping for itself. Even worse, because the labels and broadcasters and other multinational media conglomerates have the most leverage with PROs, the average independent artist is gets screwed — in the dark, thanks to the lack of transparency. 1. They see their royalty payments shrinking. At the Future of Music Summit this year, the theme was basically “is music being devalued?” Those artists that saw their royalty payments shrink generally answered “yes”, those who saw them grow (like most musicians) answered “no”. Here’s the deal: Music is not devalued by streaming technology. First of all, the value of music should not be measured in dollar signs. I know that seems a little kumbaya-ish, but it doesn’t make it untrue. We musicians and fans know that the value of music is in how it shares experiences, creates bonds, provides catharsis, sets a mood, heals our psyche, etc. One cannot equate (as anti-“piracy” advocates often do) the value of music to the value of a consumable good like food or energy. Music is not consumed, it is free. Labels package it and market it for sale, but it is never actually consumed. It is free to share, free to listen to, free to be played. Over the last 100 years, the music industry has set up barriers to sharing, listening and playing in order to profit. This was done ostensibly to protect musicians’ ability to make money and thus continue playing music, but a quick glance at history shows the utter hypocrisy of this view. Shadowy accounting, non-transparent business practices, litigation and legislation aimed at grabbing a bigger piece of the pie — these are just a few of the corrupt actions that are status quo for those that exploit musicians for profit. This is the real devaluing of music. Let’s look at the actual market value of music. Surely we can agree that the market value of music is going down? Absolutely not. The market value for music is actually rising. What’s devalued — in the sense of the market — is paying for access to music. Copyright creates the barriers that prevent sharing, listening and playing music. Corporations control these barriers through technology, law and the market. The technology is the apparatus of control. The law (such as the perpetual extension of copyright term length) is the framework that prevents technology from getting too far outside their control. The market is what allows them to acquire music rights for next to nothing, and then reap all the benefits (and to be fair, suffer the risks) of inflating and exploiting the value of those rights. The ‘Wizard of Oz’ pulling the strings on the whole facade is still the record labels — primarily the majors that own ~70% of the rights to all music on the market. Is it not plain to see that the last decade has been about the labels using streaming music to rebuild the industry of exploitation, to stem the bleeding that free access to music inflicted on physical sales and downloads? Is it not totally obvious that artists should be complaining about their onerous contracts, the ones that take all the value out of their rights and leaves them with a small percentage? The always incredible Billy Bragg is just the latest artist to point out that the artist uproar over Spotify payments is ridiculous, given that the labels are the true culprits of artist exploitation. We need more voices like his. Here’s why the Yorkes and Becks of the world are upset: they sold out their rights for large royalty checks that are now shrinking. They’re 100% wrong to point the finger at streaming services. Come on, who do you think negotiated those royalty payments in the first place? The reason these stars can’t blame their labels is that they are complicit in the exploitation business. As technology tears down the barriers to share, listen and play, the value of exploiting one’s rights shrinks. This is why big artists are defending their labels, crying that the sky is falling, and using fear and negativity to somehow scare fans into… what… buying CDs again? This is the core problem of the “music is devalued” camp. They have no solutions! I’ve been debating these folks for years, and the only thing I’ve heard them come up with is “stop piracy”. If that were even possible — which it’s not — all it would do is protect the rights held by record labels. It does nothing to help most artists. It’s purely self-centered around one’s own paycheck. It does nothing to stop the system of exploitation, it only adds fuel to the fire. Regardless, study after study shows free access to music encourages sales. That’s why Spotify’s move towards transparency is so important. It challenges the industry status quo of anti-artist secrecy and empowers musicians to actually see how their revenue is coming in. This is something that’s simply not possible with labels and PROs, unless you are one of the few artists with the legal or market might to apply pressure for an audit. Transparency is coming to the music industry, and fans and artists are loving it. It’s actually increasing the value of music. Take another example: crowdfunding. In the past, artists funded their albums by signing their rights over to a label, and in return the label would take the financial risk of paying for its production and marketing. Of course, “risk” is perhaps a strong word, because most labels just let 9 out of 10 bands fail and then put all their money behind the one that showed market traction. Today, artists are increasingly using crowdfunding to replace the role of the record label, at least from a financing perspective. 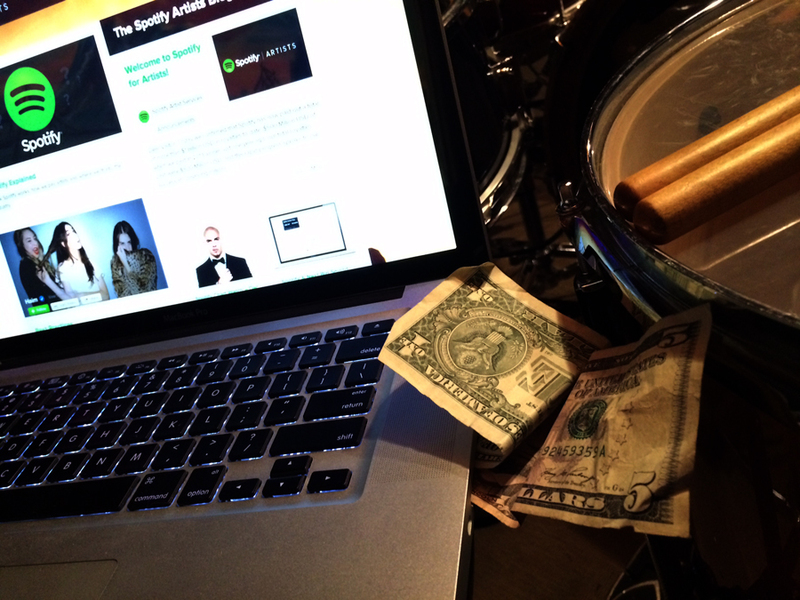 With digital tools, bands can market themselves with virtually no budget. Distribution is democratized. For independent artists operating on small-business scales, there is less and less need for the exploitation of a label. What’s best, crowdfunding is completely transparent. In the past, the fan would buy a CD but have no idea how much money got to the artist. Now at least they know that Spotify pays artists 70% of their revenue, comparable to iTunes. But crowdfunding is even better — on most platforms, fans see how much the album will cost to produce, and know that almost 100% of the funds are going to the band (the real figure ranges from 80%-95%, still a great improvement over the ~70% status quo). Here’s the real key to this debate: the value of a fan is going up for artists. The value of a fan is going down for labels, because their revenue is based on exploitation and they have less opportunity to gatekeep. For artists now directly connected to their fans, crowdfunding is a viable and transparent way for fans to know their money is going to the artist. And because of that, they give a lot more of it. Nearly all artists who try crowdfunding find that instead of taking a small percentage of an album sale, they can make 10x the profit by taking money directly from a fan. Part of this is that the fan knows the money won’t get caught in the non-transparent, behind-the-scenes corruption of the music industry. But the fan also wants to feel like they are the label, like they are participating in the creation of the artist’s music. Patronage has far superior value to the fan than exploitation, not to mention its ethical superiority. Spotify is trying to be a meritocracy. They want to take the whole royalty pool and split it up evenly based on plays. That’s why artists are seeing line items for thousandths of a cent. But it adds up. More artists are seeing their streaming revenue grow than shrink, but those who are seeing it shrink have market dominance and a loud voice. The exponential growth of crowdfunding and streaming music payouts is evidence enough. Anecdotally, I’ve seen my band’s streaming revenue double year over year. Ultimately, I’m no grand champion of Spotify. I am in the camp that thinks they’ll never be profitable so long as the labels scarf up all of their revenue. Long-established streaming music sites like Turntable.fm are already being shut down by the music oligopoly for not scaling to big enough profits. I see access to music gradually approaching free again — the next step is already underway: the bundling of streaming music with consumer electronics. Eventually, music will be a utility like water — paid for by distributing the costs across the total population, and rarely a conscious expenditure. People still buy bottled water and folks will still buy physical product. But make no mistake: While large corporations will fight it with every lawyer they have, no one can stop the web from bringing music on tap to the people of Earth. With streaming music, we’re already seeing corporations reluctantly embrace freer access, so long as they can still negotiate their onerous terms for artist payment. Let’s be clear. There are plenty of people at the labels and at the streaming music sites that are fighting the good fight for artists. They realize the system is compromised and corrupt, and they are trying their best to work within that paradigm to eke through positive change. But anyone who’s trying to fight this move toward transparency is anti-artist, period. Spotify may only be doing this to protect its bottom line — if they were true crusaders they would expose the labels as the reason artists see little of their streaming revenue. But the labels keep the lights on, and Spotify still thinks it can be the alternative to “piracy”. Sharing, listening and playing music ought to be free activities, because they actually increase the value of music. Artists are moving past the point of needing barriers to exploit rights, but labels have no other choice. I expect the transparency wars are just beginning — and I will be there tugging the curtain down with millions of my fellow musicians. TL;DR: Transparency increases the market value of music — it combats music industry corruption. Ending piracy is not a solution — it perpetuates the corrupt status quo of artist exploitation.